Up to 34” reading range on general barcodes. Thanks to the convergence of the new innovative FuzzyScan 3.0 Imaging Technology and Bluetooth® v4.0 wireless technology, the new FuzzyScan F780BT series Cordless Image Scanner from Cino impresses the user with high reading performance and ultimate freedom of cordless operation. The F780BT expertly combines ruggedized construction with versatile features, providing an ideal cordless solution for industrial or general applications. To deliver the highest level of dependability, the F780BT is built with compact and robust over-mold housing. It is rugged enough to withstand multiple drops from 1.8 meter to concrete to meet your day-to-day scan-intensive use anywhere. F780BT provides several radio link modes to communicate with most host devices. When Bluetooth-enabled host device is not available, it can work with the smart cradle in PAIR mode or PICO mode. This provides an instant plug-and-play cordless migration to your existing non-Bluetooth-enabled IT assets. Moreover, the PICO mode supports multiple connections up to 7 scanners with one smart cradle, reducing your total cost of ownership. Furthermore, you also can use F780BT with Bluetooth-enabled host devices via SPP or HID service in SPP mode or HID mode. To suit diverse business applications, F780BT is feature-rich to represent its best value in its class. When enabling Batch Scanning function, F780BT can collect more than 80,000 EAN-13 barcode data. 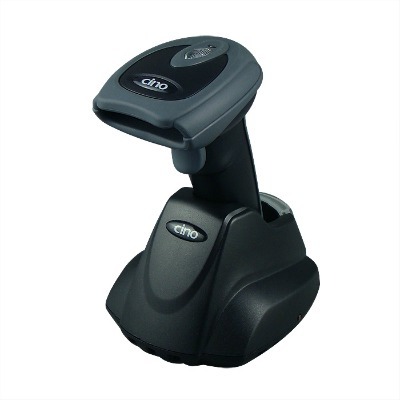 This makes F780BT ideal for inventory application. The Out-of-range scanning feature allows F780BT to continue scanning data even when it loses radio connection. Once the Presentation Scanning Auto-sense function is enabled for hand-free application, the F780BT switches from trigger mode to presentation mode automatically when it is placed on SmartStand or smart cradle.